2X NEW STEREO LOUDSPEAKERS WITH CASE WHICH FITS PERFECTLY IN THE FRONT FOOTWELLS (KICK PANEL) OF MERCEDES 108, 109 AND 111. 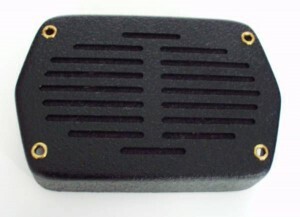 THE FACTORY OFFERED THESE SPEAKERS IN ADDITION OR IN PLACE OF THE MONO CENRAL DASH SPEAKER. IDEAL FOR YOUR PERFECT RESTORATION THIS REPLACES YOUR WORN OUT FACTORY SPEAKERS OR FITS WHERE NO SPEAKER WAS FACTORY SPECIFIED. HERE I HAVE FOR SALE A TRULY RARE AND SOUGHT AFTER TOP OF THE RANGE BECKER EUROPA LMKUU CLASSIC CAR CHROME RADIO, AUTHENTIC FROM THE SIXTIES TO LATE SEVENTIES. 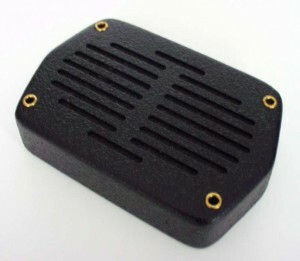 - THIS WAS ONE OF THE MOST EXPENSIVE OEM OPTIONAL RADIOS SUPPLIED FOR FERRARI 365 DAYTONA. 400, 308 412, DINO, MERCEDES SL 113 107. PORSCHE 911 912 914 930. MASERATI MERAK SS, BORA, ALFA SPIDER MONTREAL, ASTON DB 6, TR6, JAGUAR E TYPE, MGB , LAMBORGHINI ESPADA AND MANY MORE GREAT MARQUES.